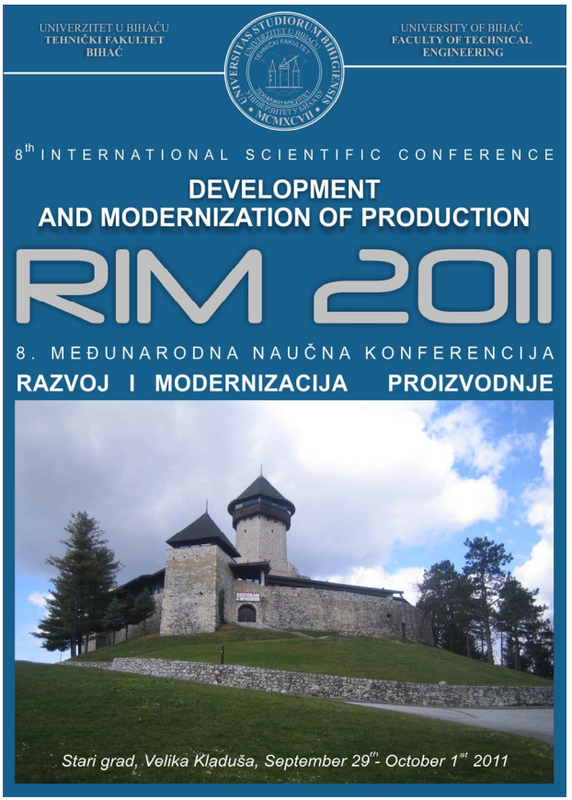 University of Bihać will organize 8th Scientific Conference about Development and Revitalization of production (RIM 2011) this week. I am also on this conference with my work about Modeling Hardness of steel weld by genetic programming, which is based on my genetic programming tool GPdotNET. I am very proud to announce that this is my second work based on the GPdotNET. After my work about modeling and optimization of Drilling process by Evolutionary algorithms from 2007, this time it is about modeling steel weld. This work is introduction of my Master Thesis which is going to be out soon :). The presentation will be at Saturday at 9:30. More abut the conference can be found at http://www.rim.tfb.ba. This entry was posted in Evolucijski Algoritmi, GPdotNET and tagged GP, GPdotNET by Bahrudin Hrnjica. Bookmark the permalink.